They soon discover their victim had a list of people with motives to murder him, including his fashion designer ex-wife, his mistress's husband, and the chief of police. The only evidence they have to go on is a missing cell phone, a stolen book, the victim's letter opener, and an ugly pair of Alpaca wool mittens. Would you try another book from Stacy Verdick Case and/or Justine Huxley? Has A Grand Murder turned you off from other books in this genre? Have you listened to any of Justine Huxley?? ?s other performances before? How does this one compare? 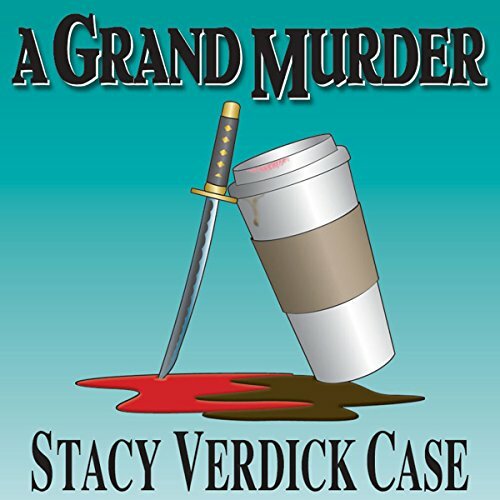 Do you think A Grand Murder needs a follow-up book? Why or why not? No, I don't think this author was very good at portraying women detective in a good light at all and I wouldn't read any thing else she wrote that had to do with that. This was such a dumbed-down version of women detectives that it was demeaning and embarrassing to the profession and I am not in that profession nor is anyone in my family, I just felt bad for anyone that was. The story was OK, but I couldn't get over the lack of depth.